People move on to Master Teacher level for many reasons. Some wish to pass on the gift of Reiki to others, while others are focusing more on their own personal and spiritual development. Some take the course because they want to see all that there is of Reiki, and do with it what feels right for them. Moving on to this level does not mean that you are committing or dedicating yourself to becoming a Reiki teacher, though you never know quite where Reiki might lead you! During your Reiki home study training course you will read text, look at images and read summaries, you will listen to Taggart talking, be guided through energy exercises and watch demonstrations, and of course you will be in contact with us regularly and asking questions when you need to. In fact, I think that this home study course has some definite advantages for you when compared with a ‘live’ course: instead of having the time available to you limited by the length of a two day course, you can now work by yourself for a much longer period, and you will have the opportunity to spend a lot longer working with the various exercises. This is why Reiki home study is so effective: you have the opportunity to work with the energy for far, far longer than is possible on any live courses, and you receive the undivided attention of your teacher. It would not really be good enough to just give a student some training materials and tell them to get on with it. We think that it is very important to make sure that our home study students have carried out all the practical exercises that they need to carry out in order to feel confident in what they are doing, and it is important that we are on hand to answer and questions or queries that our students have, and to advise them and support them as they progress through their course. What we do is to break the course down into a series of stages, or ‘projects’, where for each stage the student does some reading, listens to the audio commentary, carries out practical energy exercises and then sends us feedback by e-mail to let us know what they have done and what they have experienced. We can then gear our support to what the student has done and what they need. Training is one-to-one. During your home study course you will receive a series of distant ‘Reiju’ empowerments which are there to support your work with sacred Shinto mantras called ‘kotodama’ and to move you on to (or “attune” you) at Master level. These traditional Japanese empowerments help to open up further the channels through which Reiki flows, they emphasise to your system important aspects of the energy that you will be working with, and they introduce you powerfully to a state of oneness. They are equivalent to Western-style Reiki ‘attunements’ but come closer to passing on what was intended by Reiki’s founder, Mikao Usui. During your course you will also receive some Western-style Reiki “attunements” at a distance, so you will have been initiated using both original Japanese and Western-style methods. During the later stages of your course, you will ‘tune in’ to distant Reiju empowerments which we send out every day, on Mondays. Your Reiki potential will not lessen over time, so tuning into these empowerments is not essential, but doing so will make a difference to you and your Reiki practice and echoes the practice of Reiki’s founder, Mikao Usui, who empowered his students on a regular basis. Our approach is to view Reiki as primarily a self-development, spiritual development and self-healing method and this is particularly so at Master Teacher level. While we do deal with the treatment of others comprehensively on this course, we do not lose sight of the fact that Reiki is about self-development first, and the treatment of others second. So we echo the original system that Reiki’s founder taught by rooting your practice in personal energy work. You will learn to enhance and deepen your self-healing by getting to grips with and fully assimilating the energies of the kotodama, by working to develop your Tanden and by learning to empower yourself regularly. By the end of your course you will know how to – in effect – give yourself a Master attunement every day. This is a powerful activity that will really move you on spiritually and in terms of self-healing. On this course, the symbols are used primarily as tools to allow the student to experience different aspects of the energy, and students will be meditating for some time on the energies of the two ‘Master’ symbols. 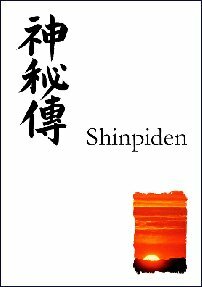 The Kotodama, or ‘jumon’, are sacred Shinto mantras used by Usui before the introduction of symbols into Reiki. We show how these mantras can be used when carrying out treatments, we become familiar with their characteristic energies, we discover how they can be used for self-healing and spiritual development, and we learn how they can be used in conjunction with Reiju empowerments. During the course, the student will be chanting the kotodama over an extended period to further their self-healing and spiritual development, to deepen their connection to and experience of these energies, and they will also be using these energies when treating others. We spend some time working with Intent, and go through various exercises that help to ‘open our eyes’ to the simplicity and power of Reiki, and the importance and versatility of intent in terms of directing the energy and experiencing different energies. To gain the most out of this course, the student will need to have to hand a group of friends and relatives that they can use a ‘guinea pigs’ to practise things on as they work through the various stages of their course. The course is mainly practical, you see: Reiki is a practical, hands-on activity, not just about book learning. We spend some time talking about how to develop intuition and give some suggestions for moving beyond the basic “Reiji ho” approach. We will practice working intuitively in a number of different ways and introduce a method where we can directly perceive someone’s energy system, and we also explore some “mind’s eye” visual shortcuts. Again, students will practise various intuitive exercises on their group of friends and relatives, gaining facility through repetition. Mastership allows you to pass the Reiki ability to others, and you will be using the course manual (with step-by-step instructions, digital images, drawings and summaries), the Audio CDs and the DVD to make the process of learning attunements as straightforward as possible. You will practice the attunement process extensively during your home training with Reiki Evolution. We use the example of a Second Degree attunement as a focus for teaching, then going on to talk about the differences between that attunement and those at First Degree and Master levels. The Western-style attunement process is not the only way to convey the Reiki ability to students. The Reiki Evolution Master Teacher course also includes training in the ‘Reiju’ empowerment process that has been passed to us by Usui Sensei’s surviving students. Reiju empowerments represent a wonderful, simple, elegant, powerful and inspiring method that can be used as alternatives to the Western-style attunements at all levels. We also consider the use of distant attunements and empowerments, explore different methods that can be used to empower the self, and students will practise these variations as part of their training with us. Our Reiki Master Teacher course uses two audio CDs that contain an hour of commentary and 45 minutes of meditations and instructions. The ‘commentary’ CD summarises the main themes of your course and the ‘meditations’ CD contains various useful tracks, for example two tracks which talk you through carrying out a Reiju empowerment and a Western-style Reiki attunement. By having on CD the main things that are said to you on a live course, you really receive a version of ‘live’ training, but in the comfort of your living room, or your car, or on a walk (using a Walkman) or wherever you choose to listen to your CD. You can, in effect, ‘replay’ your teacher again and again! 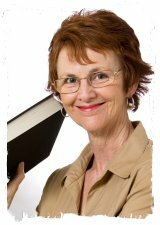 The attunement and empowerment audio guides talk you through the various stages, just like a teacher would do on the day of a live course. So instead of fumbling around trying to read the instructions in your manual while trying to keep in the flow of it, you can simply flip on the CD and follow the instructions. You will thus learn effortlessly through doing, and your practice attunements and empowerments will flow all the more easily because of this. Each Reiki Evolution course is accompanied by a comprehensive manual which covers everything we deal with on the training days, and more besides. For the Reiki Master Teacher course we produce and extensive manual, running to 200 A4 pages. This is a complete and practical guide to Reiki at Master/Teacher level, containing text, digital images, flow-charts, summary sheets, Mind Map and illustrations. Each Reiki Evolution RMT home study course is accompanied by this 370 page book, written by Taggart. You’ll find a wealth of advice about how to set up and run your Reiki courses: read articles about planning and structuring your courses; find out how to explain things to students in a way that honours their learning preferences and personality types; discover how to create top quality course materials and how to support your students long-term. 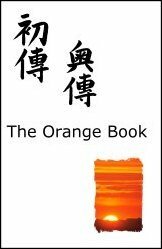 Each Reiki Evolution RMT home study course is accompanied by a printed collection of Taggart’s Reiki articles, called “The Orange Book”. This is ideal to dip into, to ponder, something that you can refer to, and re-read, gaining different insights as you revisit the pages during your journey with Reiki. Our Master course is accompanied by a DVD containing approx. 30 minutes of footage, demonstrating how to carry out Reiju empowerments and Western attunements. Please note that we also have available a VHS video cassette for the benefit of people who do not own a DVD player. The fee for the First Degree Home Study Course is £438.00 either paid in full in advance or in three monthly instalments of £146.00 each. The payments are non-refundable. Here is an overview of the way that the Home Study course will work, showing in general terms what you will be doing during each of the eight stages of the course. This stage is all about familiarising yourself with the materials that accompany our Reiki First Degree course: reading the course manual, listening to the audio CD, and practising two meditations/energy exercises over a period of 10 days. This will take you about 10 hours. This stage is all about familiarising yourself with the materials that accompany our Reiki Second Degree course: reading the course manual, listening to the audio CD, using a symbol meditation over a period of 10 days, practising an intuitive treatment technique, and treating someone with the energies of CKR and SHK in a way that echoes Mikao Usui’s original method. This will take you about 15 hours, over 10 days. This stage is all about becoming familiar with the new symbols that we cover on the Master course. Firstly you will receive a distant Master attunement. Then you will learn to become familiar with the characteristic energies of the two ‘Master’ symbols, and some other symbols, and you will learn how to use the symbols in practice. Finally you will learn how you can, with time, move beyond the symbols to access their energies direct. It will take about 10 hours to carry out these various tasks, over 10 days. This week is all about becoming familiar with Shinto mantras that predate the use of symbols within Reiki, mantras used by the majority of Usui Sensei’s students to experience the energies taught at Second Degree and Master levels. Firstly you will receive distant empowerments for each of the four energies. Then you will be chanting and meditating on the four kotodama energies. You will move on to compare their energies with the energies of the four corresponding Reiki symbols. Finally you will use them in practice when treating and when carrying out distant healing. It will take about 10 hours to carry out these various tasks, over 10 days. This stage is all about learning to develop the Hara, an important part of the original system that Usui Sensei taught. We will use a specific meditation, or energy exercise, to achieve this, and the exercise will continue throughout the rest of the course and beyond. It will take about 10 hours to carry out these various tasks, over 14 days. This stage is all about seeing what is possible: pushing the barriers, moving beyond self-imposed limitations. You will start by receiving another Western Master attunement. Then we will carry out a number of exercises to see what is possible. We will also consider a range of non-Reiki techniques that have been added into Reiki over the years. It will take about 7 hours to carry out these various tasks, over 7 days. This stage is all about Western attunements. You will be learning how to carry out a Second Degree attunement, and you will practise carrying it out. Then you will learn how to carry out a Western Master attunement. Finally you will learn how to carry out the First Degree attunements. It will take about 8 hours to carry out these various tasks, over 7 days. This stage is all about Reiju empowerments. You will learn how to give Reiju, and you will practise carrying it out. Then you will learn how give Reiju at different levels, and practise doing this. Finally you will learn how to carry out self-empowerments, and practise these for yourself. It will take about 7 hours to carry out these various tasks, over 7 days. We think that it is very important to keep in touch with people who have been through our courses. We believe that this is just as important at Master level as it is at Reiki1 and Reiki2. For the benefit of those who might like to receive a face-to-face empowerment as part of their home study Reiki training, we may be able to arrange for you to receive a ‘live’ Master empowerment at one of the Reiki shares hosted by members of our team of teachers. This would be the same Master empowerment that you would receive on a live Reiki Master Teacher course with us. Paid in three monthly instalments of £146.00 each.